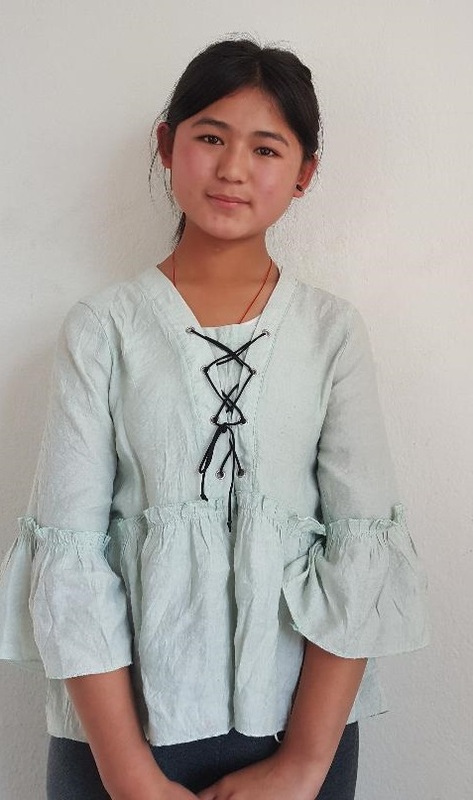 This is Phurbu Deki, a 15-years old from Rasuwa. Rasuwa is one of the worst affected districts by earthquake in 2015. She has begun her Grade 9 semester at the Excel Public Secondary school. She is a bright student and enjoys her English class. Phurbu is the eldest of 5 children. She is thoughtful and aspires to become a teacher; teaching the next generation of people of Nepal. Becoming a teaching was not at all easy for her. Phurbu came from a family who have little money to spare. Her parents are too poor to afford her an education. Despite the economic difficulties, she never gives up on her hope of a good education. She has been receiving full scholarship from Basic Goodness since 2015. Let’s make her hope comes true and provide many other young children’s chance to walk the path of better future.